Most runners are in pursuit of some improvement: running faster, improving their form, and becoming stronger. While there are no magic bullets and you need consistency and hard work to see progress, there are some running workouts that offer significant benefits for a small amount of work – and strides happen to be one of those high-payoff workouts. Strides certainly aren’t a panacea for all areas of weakness in running. However, they are a valuable training drill for almost all runners. Who can benefit from strides? As a running coach, I’ve prescribed strides in almost all of these situations. For runners returning after a break, strides give them practice running at a fast pace without putting the wear and tear on your body that workouts such as quarter-mile repeats or long tempo runs do. During race training, strides function as form drills and speed development; this means they are valuable for 5K runners and marathoners alike. Marathoners and half marathons in particular will benefit from them as a way to preserve speed and good mechanics during the high volume of long distance training. If you are looking to improve your running form, a combination of strides, drills, and mobility work will be far more beneficial than trying to follow a metronome on an easy run. 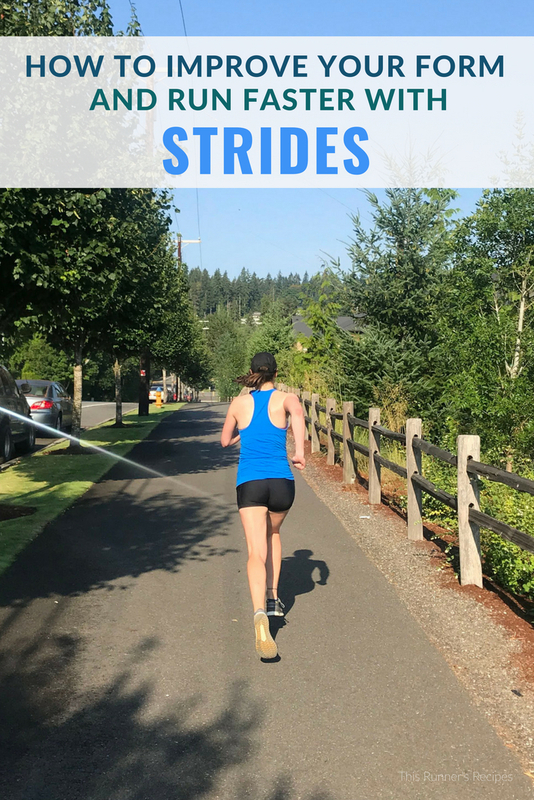 Strides train you to have a higher cadence by improving your overall gait – including stride length, stride rate, hip extension, and arm swing – rather than simply focusing on quickening your turnover at any random pace. Runners and coaches talk about speed and endurance, but another important aspect of running fitness is neuromuscular fitness. The neuromuscular system is exactly as the name suggests – a combination of your nervous system and muscular system. By improving neuromuscular fitness, you train your muscles and nerves to work together more efficiently. Improved neuromuscular fitness translates to better running form and a higher running economy (how much effort it takes to sustain a pace). 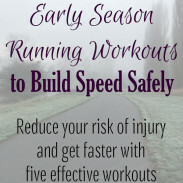 You improve not only your max speed, but the motion patterns necessary for running that speed without getting injured. Strides recruit virtually every muscle group – and the nerves associated with those muscle groups – thus teaching your nerves and muscles to coordinate better for faster stride rates, quicker cadence, and more power in your stride. How you do a stride is more important than why you should do a stride. When done for too long, the purpose of the workout changes – it can shift from a neuromuscular drill to an anaerobic interval in the matter of a few seconds. When performed with poor form such as overstriding, you are simply reinforcing detrimental motion patterns. To correctly perform a stride, find a flat and smooth stretch of road, trail, or track. 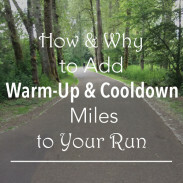 You want to have completed either your entire run or at least a thorough warm-up. Accelerate over the course of approximately ~10 seconds while staying relaxed and smooth. Focus on a quick turnover and pushing back – not striding your feet out beneath you. You want to maintain a tall posture and a strong arm swing. Once you reach approximately mile pace (or what feels like a controlled sprint), maintain this pace for approximately 10-12 seconds, or until it becomes a noticeable effort to maintain. If you begin breathing heavily, you have turned this into an anaerobic workout, not a stride. Gradually decelerate over the course of a few seconds and then rest or walk for a few minutes to recover. The long rests between strides is vital. Much like heavy lifting, it’s not just your heart rate that needs to lower before the next interval of work – your muscles and nerves need to fully recover. Don’t rush through the recovery intervals to save time or fit in more strides; it is better to do only a few properly than to do a bunch without the full benefit. If you are new to strides, begin with 2-4 strides. Over time, build up to 6-10 strides per session, depending on available time and fitness level. Runners with existing soft tissue injuries – especially anything in the hips or hamstring – may want to avoid strides until the injury heals or pain subsides. The start-stop motion of strides can worsen any muscle strains. When Should You Do Strides? When strides are prescribed on their own, they are typically done immediately after your run. If it’s more convenient in terms of location, you can include a short cool down jog after the strides, but a majority of your run should be done before. During race-specific training, you can utilize strides as part of your warm-up for intervals or a tempo run. After a mile or two of easy running, include strides as part of your dynamic warm-up. They will prepare your body for faster running by waking up those neuromuscular connections and creating just enough muscle tension to facilitate good power output at those faster paces. The key to reaping the rewards of strides is consistency. Whether you do them once a week or three times per week, aim for consistency. One caveat: do not do strides on a treadmill. The manner in which the belt changes your gait negates the purpose of strides. Remember, strides are not sprints – their purpose is biomechanical and neuromuscular. Some coaches advocate barefoot strides, since runners tend to avoid over-striding and shorten their ground contact time while barefoot. Barefoot strides certainly are effective, especially if you have poor form that is in serious need of rewiring or weak feet. However, for most runners, barefoot strides aren’t practical – so there’s no need to choose them over regular strides unless you really want to. If you do opt for barefoot strides, be sure to perform them on a smooth grass surface free of any debris. Before jumping straight into barefoot strides, prepare your body with some barefoot drills: barefoot hops (first both feet, then single leg), barefoot bounds, and then very short (~30-50 yards or 30-45 meters) barefoot runs. Once you are comfortable with those, you can progress to strides. Do you include strides in your training? I have done thousands of strides in my running lifetime!! My coach puts them into a warm-up most days and especially on speed or days and may throw some in at the end of a long/endurance run. I used to be scared to do them but they really do help prepare your legs for what’s to come…or remind them they can still have form and speed when fatigued. I think it’s important you have highlighted this as it’s probably often overlooked! Thank you! I like the idea of them at the end of a long run, but they intimidate me a lot so I haven’t done that yet! I love strides! Such a “easy” way to get some speed thrown in to work on turn over. They are so easy – no need to find a track or mentally prepare for a hard workout! This is a great write up about strides. We have fire ants in Florida and the grass is ouchie so it’s hard to do them barefoot here. I do think that’s a great and fun thing to do though if you have a safe place. Thank you! Fire ants are definitely a reason not to do barefoot strides! Strides really do make a difference in form – far more than trying to count cadence or correct form during a normal easy run, because of how many more muscles and nerves you recruit during strides. I am working on getting my speed back after my surgery – definitely going to be incorporating strides into this training cycle! Strides are a great tool to ease back in! I hope your training post-op is going well! Barefoot strides can be really fun! I love/hate strides. I love them because they keep me in touch with my speed. I hate them because I just want to be finished at the end of my “recovery” runs. The truth is, I can always tell when I’m slacking on doing my strides. My form begins to suffer and I get dead legs. Thanks for the helpful advice (and reminder)! Thank you! Strides aren’t always fun when you want to be done, but they sure are effective! I try to incorporate strides regularly, but in practice it turns out to be pretty irregular. I enjoy them, but tend to forget about them by the time I get to the end of an easy run. I’m the same way – but they are worth including more often! I’m just about to start a training plan with strides. I love them! They’re so fun and effective! I used to include strides but its been awhile since I’ve done them. I definitely need to remember to work on them when I return to running after pregnancy! I love how strong and tall I feel when I do strides – even for those 10-15 seconds, ha! This is the first I have actually heard of Strides! I wonder if it will work if I do them at the end of my Long Run on Saturday. Maybe just 4 – 6 initially. Or is it better to save them for my shorter runs during the week? Thank you — this was very informative! I am returning to running after having PF and I am soooo slow now. I’m going to plan on adding them to 2 runs per week now. I always enjoy doing strides as part of a workout! My posture definitely feels better whenever I do them! Great tips! Strides are a great way to encourage good run form and develop a healthy posture. I include them in my training once a week. Thanks a lot for sharing some extra information. Got to know many other benefits of running strides.